Accounting is a growing, in-demand career field at the forefront of business and finance. If you have strong analytical skills, self-motivation and a keen business interest consider accounting as a career choice. 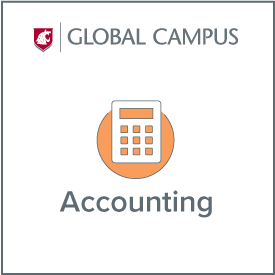 WSU’s accounting program, offered completely online, provides the foundation you need to launch or enhance your career. Accounting is an exciting and constantly evolving field, offering professionals almost unlimited career opportunities. Students who choose to pursue an education in accounting can go on to become company controllers, tax specialists, consultants, general managers, auditors, budget and finance experts, Certified Public Accountants and numerous other positions requiring strong accounting and management skills. WSU’s accounting curriculum provides a strong base in management fundamentals, critical thinking, accounting information systems and accounting practices, and will prepare you to work in private business enterprises, Fortune 500 companies, national and international accounting firms, government agencies, consulting firms and non-profit organizations. WSU’s accounting major is one of only seven programs in the Pacific Northwest and approximately 187 worldwide that have earned the prestigious Association to Advance Collegiate Schools of Business (AACSB) Accounting Accreditation. Accounting faculty are award-winning teachers, work closely with students, and take a personal interest in their success. All WSU undergraduates must complete the University Common Requirements (UCORE). These can generally be satisfied with a direct transfer degree. For a list of direct-transfer agreements, visit WSU’s Transferring an Associate Degree page. 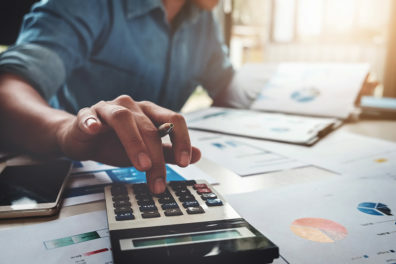 Before advancing to upper-division business and accounting courses, students must become certified in business administration with a major in accounting. Certification is competitive and course enrollments are limited. Students are required to apply for certification. A Global Campus business academic advisor can provide additional information about the process. If the applicant meets the minimum requirements as indicated below, he or she is then ranked by academic performance to fill the current quota. Students will be placed in rank order based on cumulative GPA and other performance criteria. The top students are then certified based on the number of spots available that semester. Transfer course grades will be used to calculate the certification GPA, but they are not included in the WSU cumulative GPA. Note: Students who have already completed a business degree through WSU may not return to complete a second business major.